Kern, Jerome, 1885-1945. Music in the air. Act 1. Terzetto. Vocal score . 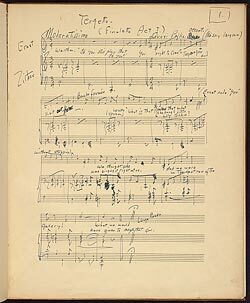 Terzetto from Act 1 of Music in the air : autograph manuscript, 1938 Dec.